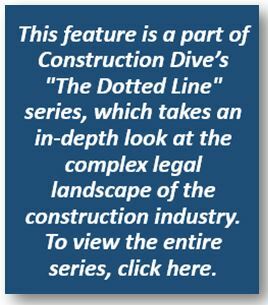 Contractors generally understand that suspension and debarment carry serious consequences, most significantly, the ineligibility to receive federal contracts. 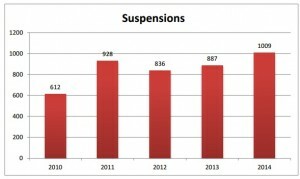 Nevertheless, several misconceptions about suspension and debarment persist in the contractor community. 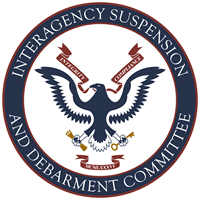 On July 31, 2018, the Interagency Suspension and Debarment Committee delivered its annual report to Congress on the status of the suspension and debarment system. The report shows a continued high level of activity relative to the last decade and serves as a reminder that exclusion from the federal marketplace continues to be a risk for contractors that do not “cut square corners” with the government. 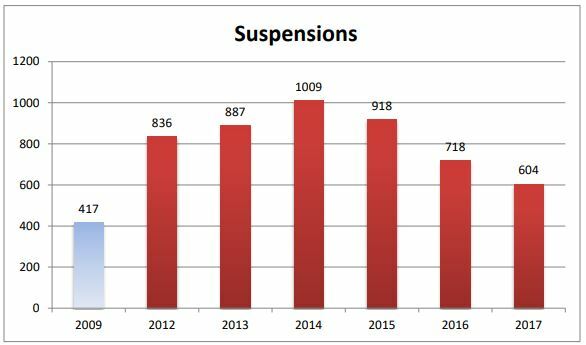 The FY2017 report shows a modest decrease in the number of suspensions, proposed debarments, and debarments from the last fiscal year, a trend that has continued since the high-water mark set in FY2014. 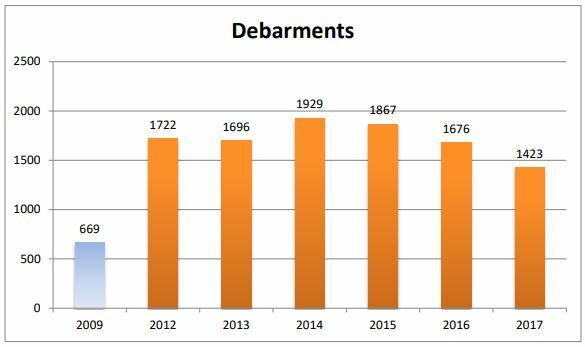 But it also notes that the number of exclusions in FY17, over 3,000, are almost double those reported when the Committee first began formally tracking the data in FY09, approximately 1,800. 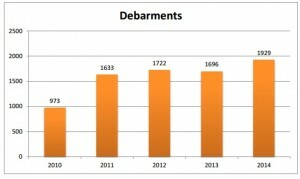 The decline in the total number of suspensions, debarments, and proposed debarments should not be viewed as an indication that suspension and debarment officials (SDOs) across the government are not vigilant or that they are not taking appropriate action when unethical individuals or contractors pose a threat to the public interest. Rather, it is likely that growing proactive engagement by contractors with SDOs even in the absence of lapses has decreased the need to suspend or debar contractors when problems do occur by ensuring that SDOs understand those companies’ commitment to ethics and compliance and that appropriate remedial actions are taken promptly where there is cause to question whether a company should be permitted to continue contracting with the government. The U.S. government appropriated $120 billion for federal construction spending in 2017, covering a range of projects from the construction of a new Federal Bureau of Investigation headquarters to building agricultural research facilities, according to the Associated General Contractors of America. President Donald Trump’s 2018 budget proposal, even with its cuts to key federal spending programs and new funds for a U.S.–Mexico border wall, calls for roughly the same level of investment. Because of the potential for a big payoff, some companies have elected to become experts in the federal contracting field, making it the focal point of their business plans. Other contractors, like international design, engineering and construction firm AECOM, have set up specialized business units to take advantage of government contracting opportunities. Speaking to a room of government contractors recently, Defense Department officials insisted that there is no witch-hunt. 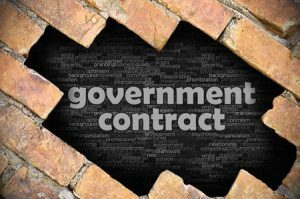 Contrary to industry perception, government overseers are not hammers looking for nails, said Deputy General Counsel for Contractor Responsibility at the Department of the Air Force, Rodney A. Grandon. Grandon made a case that contractor policing is changing. The emphasis is not on trying to rack up the numbers of suspensions and debarments, he said, but on working preemptively with companies to make sure they have vigorous ethics and compliance programs. “The focus today is no longer on numbers. The focus today is on contractor responsibility,” he told a federal procurement conference last month in McLean, Virginia, organized by the consulting firm BDO USA. The government’s success in meeting mandatory small business contracting goals two years running is due largely to White House focus and new requirements that program managers in the Senior Executive Service pay greater attention to the acquisition process, the Obama administration’s small-business development chief said on Tuesday. Many call set-asides for small business “not a handout but a hand-up, but I say it’s a matter of survival for the federal government as a whole,” said John Shoraka, associate administrator of government contracting and business development at the Small Business Administration (SBA). He spoke to contractors gathered for American Express OPEN’s all-day summit with agency acquisition officials working with small businesses that are women- or minority owned or economically disadvantaged. The 2014 numbers are in – and they confirm that Federal marketplace remains volatile for government contractors. According to the Interagency Suspension and Debarment Committee (ISDC), Federal agencies saw an uptick of about 14% in suspension and debarment proceedings. Such exclusion proceedings remain among the chief tactics for combating alleged instances of fraud and misconduct in government contracting. 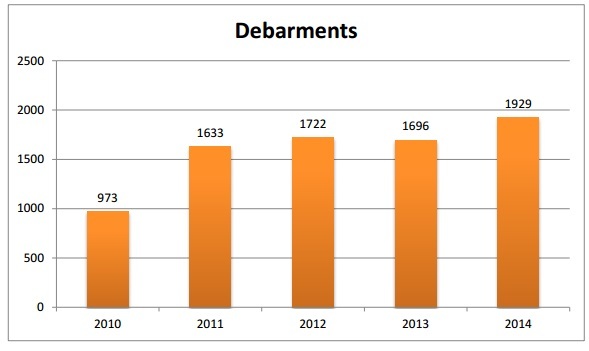 Overall, the ISDC reports that debarment actions rose from 1,696 in 2013 to 1,929 debarment actions in 2014. A Nebraska man has pleaded guilty to fraud and money laundering charges stemming from a SDVOSB “rent-a-vet” scheme under which an ineligible business received 45 SDVOSB contracts. According to a Department of Justice press release, the man faces up to 24 months in prison and financial penalties. He and his companies also have been suspended from government contracting and face the likelihood of debarment. The government’s investigation concluded that Hingorani, a non-SDV, controlled MCI and caused MCI to falsely self-certify as a SDVOSB. As a result of the fraudulent self-certifications, MCI was awarded 45 set-aside and sole source contracts worth approximately $23.5 million. Hingorani faces a prison term of up to 24 months, as well as financial penalties. Hingorani and his companies are currently suspended and face the prospect of debarment. Hingorani’s SDV business partner, Waugh, was initially charged in the case as well, but the government has agreed to drop those charges.